Forget Mother Nature: when it comes to all matters matter, the sheer ingenuity of the human mind can give rise to some of the most insane—and useful—new materials you've ever encountered. 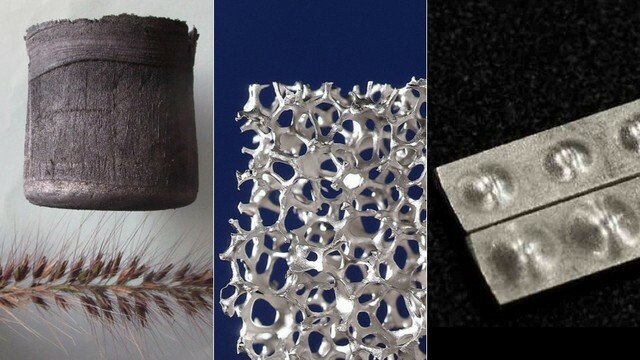 Here are five crazy new man-made materials whose uses could be practically limitless. Imagine your favorite packing-based stress reliever—made of metal. OK, metallic bubble wrap might not be quite as easy to pop, but it could be a hell of a lot more useful. 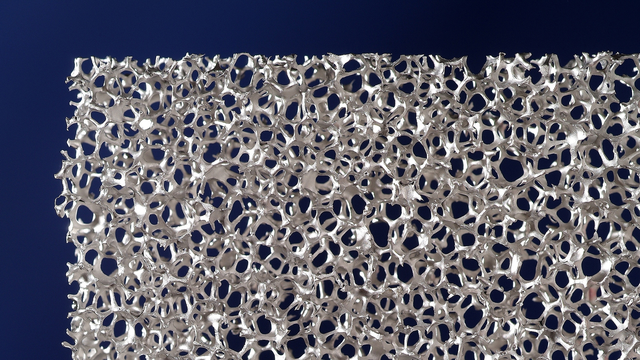 A team of engineers from North Carolina State University have developed a new form of aluminum bubble wrap, which they claim could revolutionize packaging and protective equipment. 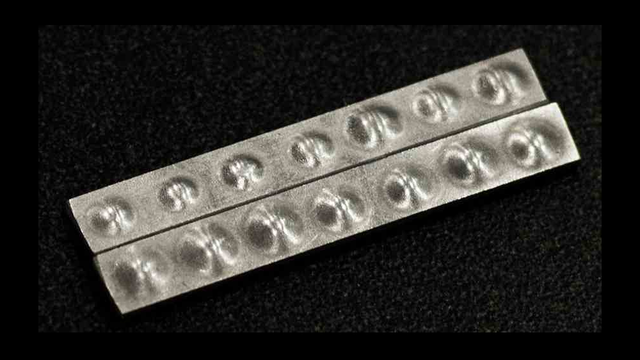 The scientists take a thin sheet of aluminum, then use a studded roller to form small indents in the sheet. Unlike its polyethylene counterpart, these voids are then filled with a foamed material like calcium carbonate, before being sealed with another flat sheet of metal. The result: a series of bubbles that absorb masses of energy, weigh 30 percent less than regular sheet metal, and yet are nearly 50 times stronger. It's easy to make, not too expensive—and could soon be used in everything from shipping containers for fragile goods to bike helmets. Just don't be tempted to try and pop it. Forget expanded polystyrene and spongey elastomers: the foam you want to get your hands on is made out of titanium. By saturating a humble polyurethane foam with a solution of titanium powder and binding agents, it's possible to force the metal to cling to the shape of the simple foam and then vaporise the underlying structure away. The result is a titanium lattice in the shape of the original foam, which can be heat-treated to tweak its material properties. The exact properties depend on the porosity of the foam, but the results are strong and—most importantly—incredibly light. In fact, the material is just perfect for replacing bone: it has incredibly similar mechanical properties and, because it's porous, new bone can grow and around its structure, truly integrating the implant within the skeleton. Anything that gets us that much closer to a real-life Wolverine is okay in our book. If the phrase graphene aerogel sounds to you like someone combined the two buzziest of materials buzzwords then... you wouldn't be far wrong. 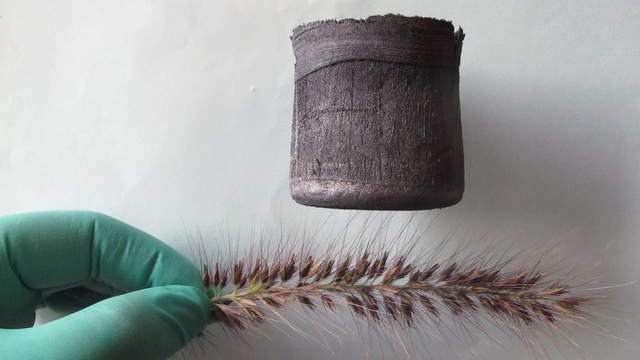 In fact, this graphene aerogel snatched the title of the world’s lightest material just a few of months ago—with a density lower than that of helium and just twice that of hydrogen at 0.16 mg/cm3. This stuff practically floats. 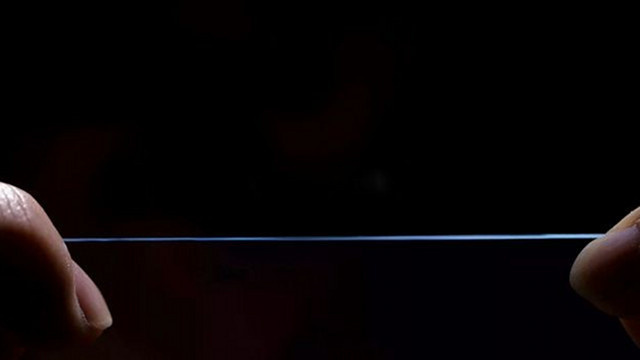 The material was actually created using a new technique which involves freeze-drying solutions of carbon nanotubes and graphene to create a kind of carbon sponge. The resulting material is both strong and elastic, as well as incredibly light; it can even absorb up to 900 times its own weight in oil. When—or if—it becomes affordable, that means it could be used to mop up massive oil spills with ease, or even as an incredibly efficient version of humble old insulation. Silk is Nature’s very own homespun wonder material but it’s tough to make in bulk—which is why a Japanese startup called Spiber has been working out how to produce it synthetically. It's managed to decode the gene responsible for the production of fibroin in spiders, which is they key protein used to create the super-strong strands of silk. Having cracked that key component, the company has gone on to create bioengineered bacteria that can make silk extremely quickly—and the company can create a new type of silk in just 10 days, from scratch to to finished product. The bacteria feed on sugar, salt and other micronutrients, and quickly produce the silk protein—which is turned into a fine powder, spun and processed to create fibres, composites, solid block... anything. A single gram of fibroin produces 5.6 miles of silk, and by 2015 the company hopes to be produce 10 metric tons of the stuff. That's a lot of silk, without a spider in sight. 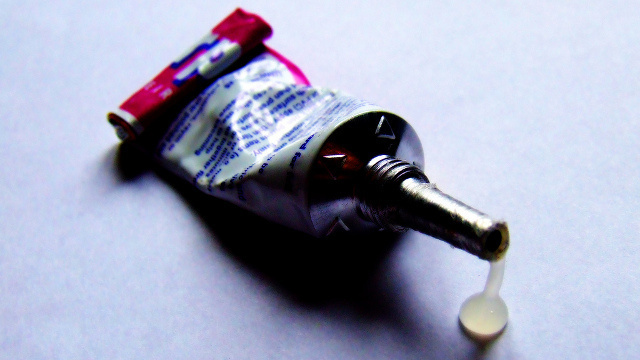 If you've ever stuck your fingers together with superglue, you know pain—but imagine sticking them together with glue that bonds materials at the molecular level: that's real pain. In fact, a team of researchers from the University of Oxford has created a molecular glue inspired by Streptococcus pyogenes—the flesh-eating bacteria. They considered a single protein from the bacterium—the one it uses to bind to human cells—and from there developed a molecular glue which forms covenant bonds when it comes into contact with a partner protein. The bonds it forms are so strong that, when researchers tested a sample, the equipment used to measure the strength broke before the glue did. All that remains is to develop ways of incorporating the proteins into other molecular structures in order to create insanely strong, selective glues. By JAMIE CONDLIFFE. We found it on Gizmodo.